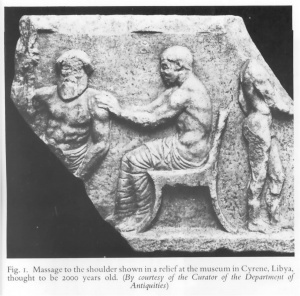 Physicians like Hippocrates, and later Galenus, are believed to have been the first practitioners of physiotherapy, advocating massage, manual therapy techniques and hydrotherapy to treat people in 460 B.C. There are still a few people who see the physiotherapist as a cross between a physical training instructor and a masseuse whose main forms of treatment are the ubiquitous heat lamp and massage. This image is a traditional one stemming from the beginnings of the profession in 1894 when it was called “The Society of Trained Masseuses”. The founders of this society believed in a therapy, which at that time was in disrepute and so they got together “to make massage a safe, clean and honourable profession by British women”. In those days, houses of ill repute carried on under the name of massage establishments, to the detriment of massage for medical conditions. Although such places may still exist and meet a demand, the efforts of the Society’s founders to counteract that early image, and the principles and standards which they have set, have resulted in our present and vastly changed Profession having little problem in that sense. The Health and Care Professions Council (HCPC) is the regulatory body for many health professions. Under current law, only qualified people registered with the Health and Care Professions Council as Physiotherapists are allowed to use the title of ‘Physiotherapist’. It is, therefore, important, that you choose a Physiotherapist who is HCPC Registered and you can do this by logging on to the HCPC Register at www.hcpc-uk.org/check/ . 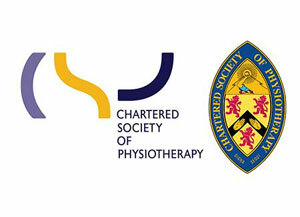 The Chartered Society of Physiotherapy (CSP) is the professional, educational and trade union body of the UK’s 47,000 Chartered Physiotherapists, physiotherapy students and assistants. All Chartered Physiotherapists are bound by the Society’s Rules of Professional Conduct and Standards of Physiotherapy Practice in addition to the Health Professions Council’s Standards, regardless of whether they work within the public or private sector. All of the Physiotherapists at Witty, Pask & Buckingham are both HCPC Registered and members of the Chartered Society of Physiotherapy. Furthermore, in order to maintain currency in their chosen profession, they regularly attend external and in-house training courses for their continuing professional development. Since 1992, with the introduction of an all-graduate profession, Physiotherapists study full-time for three or four years in University. During this time they complete over 1,000 hours of clinical practice in a number of different specialities. After this initial period of training, physiotherapists usually work in a general hospital within the NHS to gain experience. Following that they may then specialise in an area of their choice, for example in sports injuries. They may also wish to continue working within the NHS or alternatively, private practice.